On-demand IT Support solutions – When you have an immediate need for IT Support. Whatever the IT issue, you want support from a trusted provider. We are available for immediate assistance with malware removal, disaster recovery, server, e-mail or networking issues. Our hourly rate is competitive and our technicians are Business IT Support professionals. 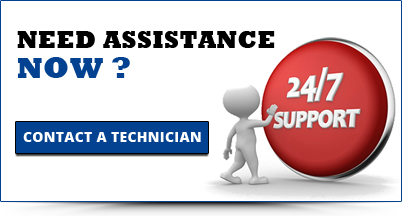 Contact us anytime for immediate IT Support. Monthly Managed IT Services – Your IT systems maintained by experienced technicians. Our Managed IT services are delivered by a team of trusted, experienced technicians who know business IT systems. You will have total peace of mind knowing your IT systems receive monthly managed services that will keep your IT systems healthy and your company data protected. Our managed services include implementing Microsoft updates, Service Pack installations, Anti-Virus via console management, Event and Error Log reviews, backup job management and more. Contact us for more information regarding our Managed IT Service offerings. Upgrades – Technology can make or break business profits. Using outdated hardware and or software can have a devastating effect on your staff. The frustrations of waiting for documents to open or close, a system that crashes repeatedly, it’s likely that lost productivity is costing you more than you realize. The potential for a catastrophic failure also increases as that equipment ages, risking even more costly downtime. Replace outdated hardware or software before tragedy strikes. Contact us for information on your IT upgrade needs. Networking and security – Protecting your Business Data. A poorly configured network will surely have an impact on IT Systems performance, it could also be leaving your systems insecure and vulnerable to attack. Businesses need better protection than what is provided by an ISP’s router. An enterprise class firewall, set up properly will protect you from outside intruders and having a professional configure it will make for a fast, secure and stable network. SPAM Filtering – Don’t let SPAM cost your business money. Staff that have to go through dozens of messages to find legitimate e-mail are wasting company time and risk missing or deleting an important message. SPAM costs small businesses millions of dollars annually, don’t let it cost you another cent. 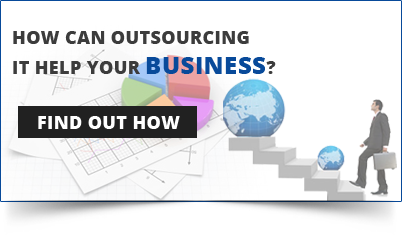 We have a proven solution that is cost effective and can be implemented without impacting your business. Contact us to find out more about our SPAM protection. Help Desk Support Services (Onsite and Remote) – Get professional help, fast. Anti-Virus management and Malware Removal – Malware will hurt your business, be protected. Malware is a primary cause of lost revenue for small business. Your IT systems need to be protected and that protection must be maintained. Having a solid Anti-Virus product isn’t enough, it should be monitored for malicious activity and needs to be kept up to date. Outdated Anti-Virus is no different than no anti-virus. IT Project Consulting – Call us if you have an IT project you need help with. Upgrades, moving IT equipment, large scale hardware or software implementations, changing ISP’s or hosting providers, we can help outline a project plan and prevent the changes from drastically impacting your day to day business operations. Internet Services – Don’t let sluggish Internet keep your staff waiting. While there are many choices for Business Internet Service providers, most offer only generic service. Business needs better and we have partnered with one of the best! With competitive rates and service level commitments that are hard to beat. Web/E-Mail Hosting – Reliable hosting is critical for any business. You need hosting you can rely on. Web hosting is fairly straightforward but when it comes to e-mail hosting you need a provider that is reliable and filters SPAM and Malware. A provider that isn’t stable could leave your business with e-mail that doesn’t work, works sometimes or worst, it could leave you with no e-mail service at all. Your business needs e-mail hosting that’s proven reliable. Contact us today for a no-charge, no-obligation consultation.